Sri Ramachandra Murthy April 16, 2019 15:00 IST Will KCR come to secretariat on regular basis? Furthermore KCR seems to have changed his mind and will soon reach secretariat and will work from here in the coming days. 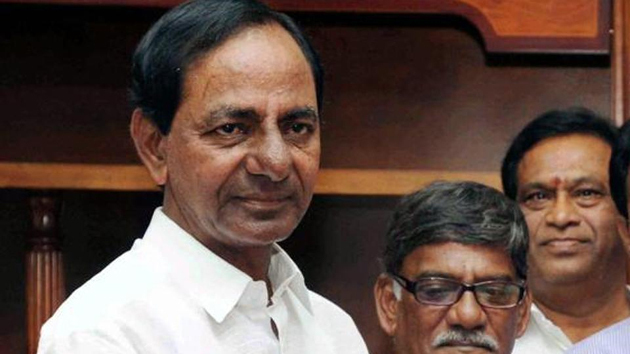 Meanwhile with Lok Sabha elections getting done and the next is Zilla Parishad polls, KCR for some time will focus on his party and poll activities. Apparently this would take another month or so and after that KCR will completely concentrate on governance. Previously there are reports that KCR is planning for a revamp of the entire revenue department and along with this, there are few more departments, KCR is looking for an overhaul. Moreover as part of this, KCR is going to appoint Divisional Commissioner system with core teams. Perhaps this core teams will have senior IAS officers and four districts will be formed into one division. Hence these core teams will be looking at all government welfare schemes and their implementation and would report to CM KCR on timely basis.